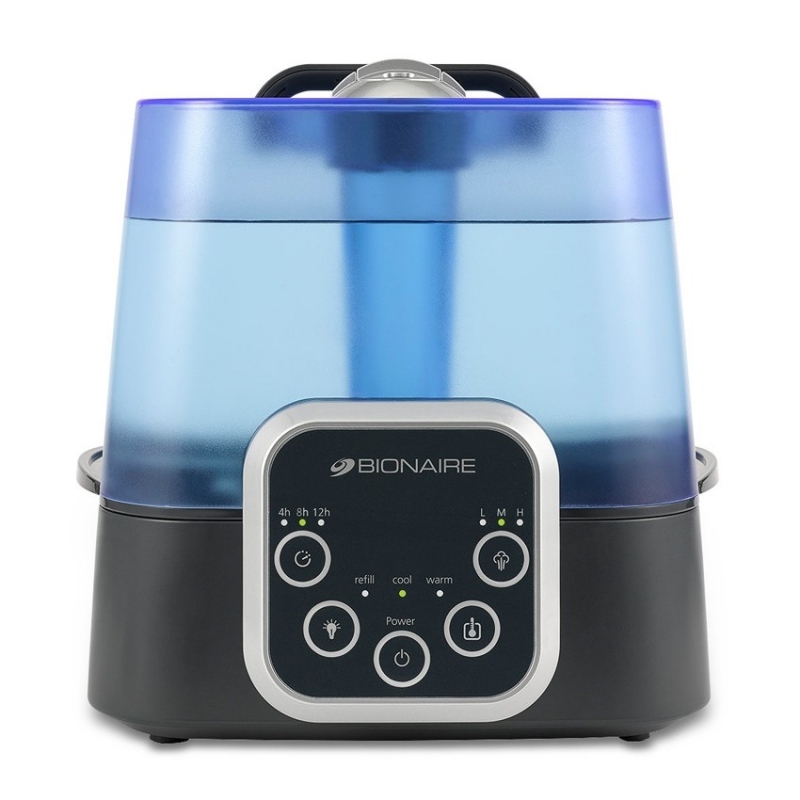 Bionaire BUL9500B is a Filter-Free Operation Humidifier. 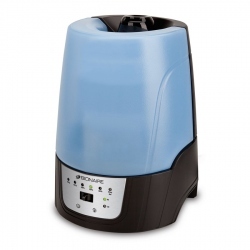 BUL9500B Employs Ultra Quiet Ultrasonic Humidifier Technology. Produces Warm and cool Visible Mist. 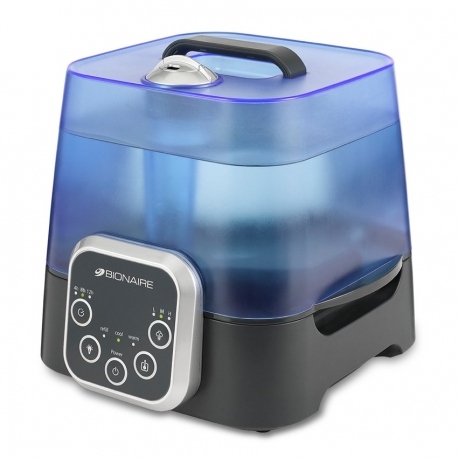 Bionaire BUL9500B Employs Ultra Quiet Ultrasonic Humidifier Technology. Filter-Free Operation - Never Needs Filters to Replace. 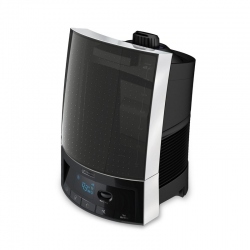 Choice of Warm or Cool Mist operating modes. Digital Controls with Multi-functional LED Display. Water Tank Refill Indicator Light. Removable shutter-proof water tank with comfort carry handle. Programmable Off Timer (4 hr / 8 hr /12 hr). Rotating Mist nozzle for direction mist output. Equipped with comfort Night light. Water Tank Capacity - 2 Gallons. 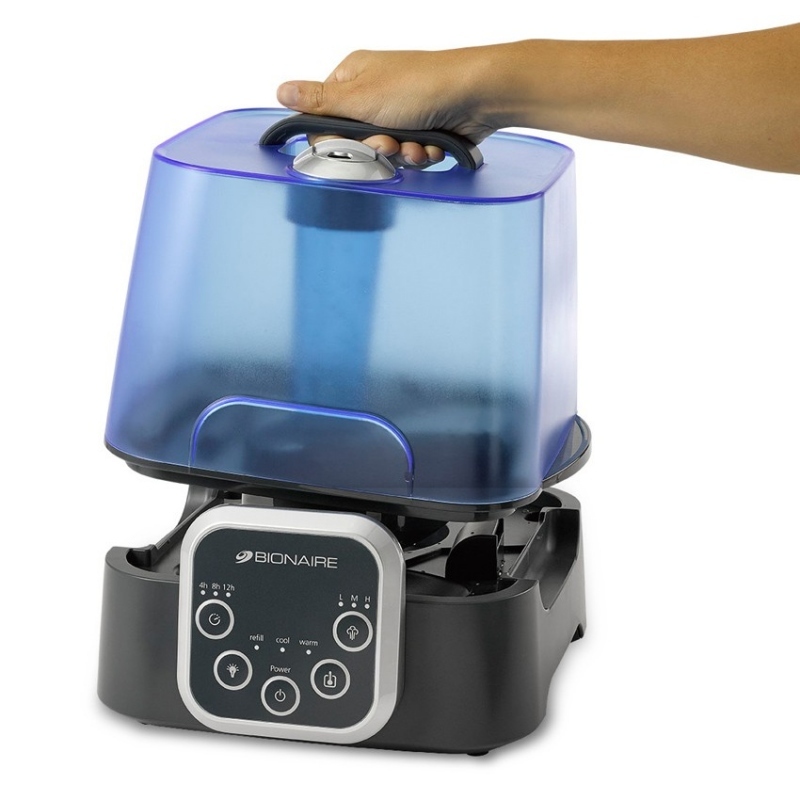 Runs on one refill for up to 32 hours. 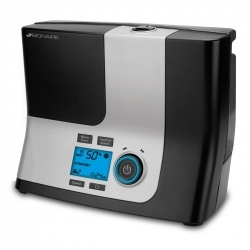 Power consumption: 60 Watts (Cool) / 120 (Warm) mist. Daily Humidity Output, Gal. 2 Gal.